“Mama Laco is with the dead more than with the living,” says my aunt. We had come back to the house to find my grandmother was at yet another wake. In the Dominican Republic, there are several opportunities to honor the dead. The day a person dies, the body is kept in the house for people to visit. There is a church service the next morning, a burial in the afternoon, and a wake afterwards. There are prayers for eight days following, on the anniversary of the death for seven months, and on the annual anniversary for seven years. “A boy from town,” replies my aunt. Tengo que cumplir is my grandmother’s response when asked why she spends so much time at sad events like wakes and prayers. I need to fulfill my duty. When I was a child, I’d peer up at my grandmother balancing a big bag of laundry on her head as we made our way up the long hill to our apartment in the Bronx. She was my hero, the ultimate embodiment of strength. Years later, when I was seventeen, my grandmother’s son died suddenly in an accident near his home in the Dominican Republic. My family and I flew down from New York that same night. As I watched Mama cry in the middle of the day, her voice a scratched up whisper, the superwoman I knew seemed small next to her immense sadness. I stayed in the Dominican Republic for five weeks and I experienced sadness like I had never before. I panicked at the stillness around me: the still air, still heat, and slow rocking on chairs. Despite the summers I had spent in the Dominican Republic as a kid, I was in unfamiliar territory. I felt all there was to do was to be sad. That notion filled me with a heavy dread. I was a teenage girl born in the United States and my understanding was that happiness was always the goal, that humans should be happy, and, perhaps, that happiness could be stolen. I feared my proximity to death and therefore to sadness. I feared that being so close to these things, they would reach over and steal my joy. Growing up, I had the privilege of having death kept at a polite distance. I bought chicken for dinner in clean, prepared packages. I learned of dead bodies from sanitized news reports. In the U.S., there is a reverence for happiness. Unlike my summer in the Dominican Republic, there are all sorts of events, objects, and media aimed at distracting us from our sadness. In my family’s town in the Dominican Republic, there is little choice on whether to confront death. If chicken is for dinner, then chicken has to be caught, slaughtered, and cooked. If someone has died, there are 23 prayers to attend. You cannot ignore the dead. As I grow older, I must confront sadness and death. I must understand how I am degraded as a woman, why police are killing citizens, or the ways my actions hurt those poorer than me. This understanding is essential for my survival. This understanding has not stolen my happiness, only filled it from the inside out. In the U.S., it is easy to believe that to be happy is to be whole. But it is possible to be a happy, hollow shell of a person. Confronting sadness has given texture to my happiness, given it density, shape, and meaning. I try to honor death and sadness often: when it happens to me and when others experience it. I cry often. I mostly don’t mind. As the years go on, I become more and more a sad woman, more and more like my grandmother. 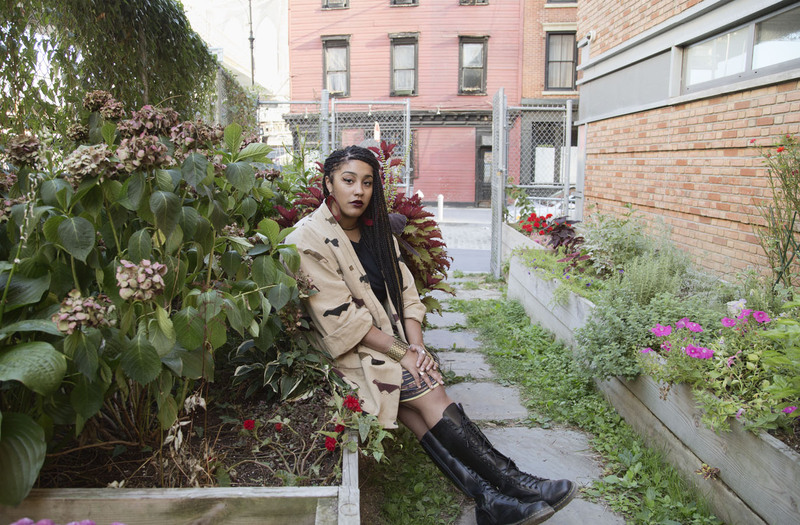 Franchesca Peña is a writer and engineer from the Bronx, New York. She received a B.A. from Wesleyan University where she studied English and Computer Science.